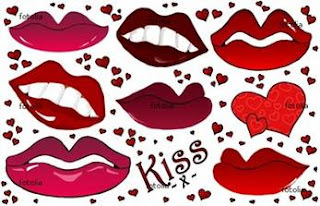 I can't send you my salary this month because the global market crisis has affected my Company's performance, so I am sending 100 kisses. You are my sweetheart, please adjust. 2. The electricity man, Kooldip Singh, agreed not to disconnect only after 7 kisses. 3. Your landlord Kapal Singh comes every day to take 2 or 3 kisses instead of the monthly rent. 4. Supermarket owner Jaswant Singh did not accept kisses only, so I gave him other items, I hope you understand..
5. Miscellaneous expenses 40 kisses. Shall I plan the same for the next month? her wife so daring woo..
so, takde ke reply balas sang suami. isk2.. mcm jual isteri jer..
Apa beza Iqbal Syarie dengan Ayah Pin ? hahha.. boleh plak macam tue.. caiss..